3D Demolition is your experienced demolition contractor for large and technically-challenging projects in the heavy industrial sector. We understand what it takes to work safely within the constraints of different industrial environments. Our team’s expert knowledge translates into safe, efficient results, on budget and on time. At 3D Demolition, we’re focused on executing every project with precision. 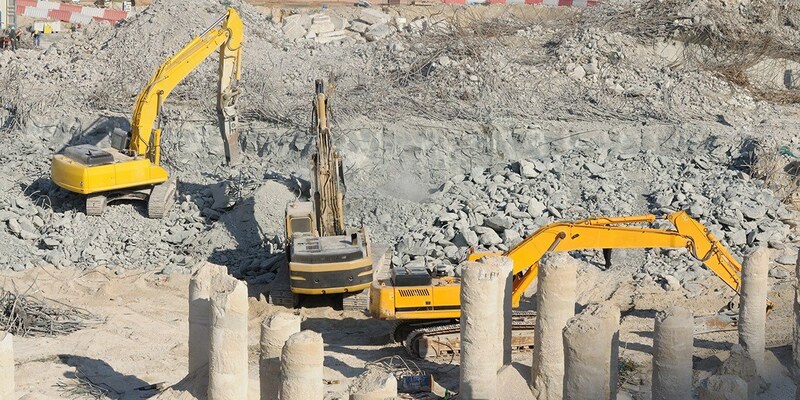 We use meticulous planning, systematic work processes, the latest equipment, and an expert demolition team to deliver safe and controlled demolition. From factories to sewage treatment plants and petrochemical facilities, we deliver expert demolition and site remediation. We’ve worked in a variety of conditions and terrains across urban and remote locations within Brisbane, Sunshine Coast, Toowoomba and regional Queensland. If you’re looking for trusted large-scale demolition contractors in Brisbane, work with the expert team at 3D Demolition.